Books on First Blog: Do Americans Get Their Milk Drinking Lattes? Do Americans Get Their Milk Drinking Lattes? Heard on NPR: Americans are drinking 40% less cow's milk today than 40 years ago. The average person drinks about 18 gallons/year and Archie Goodwin must have been drinking enough for about 10 of them. 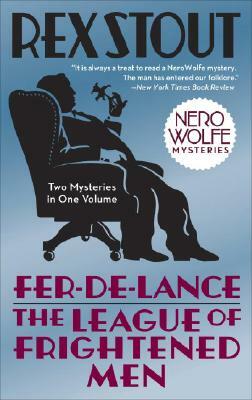 For the Midwestern man's man then, suave ladies' man in his 30's, a cold glass of milk has been his go-to drink from the first Nero Wolfe book Fer-de-Lance, published in 1932. There is no embarrassment on his part and actually, no heckling on the part of companions. Of course, he also takes a shot of rye more often than not and has coffee at the end of breakfast to finish the morning paper. But still, with breakfast along with lunch, dinner, snack, offerings to visitors as well as a pitcherful to take up to bed, milk (implied cow's milk) was Archie's drink of choice. And now what do we have? Soy "milk." Almond "milk." Rice "milk." As dairy producers complain, these are all named this way to give people a non-dairy choice while thinking they're still drinking milk. Do Americans really think there's a machine squeezing almonds to get milk? "Almond slurry," I agree, is much more to the point. Producers of these non-dairy liquid products can always use the generic word "drink," which when used to describe a fruit-like orangey liquid evokes a factory making something which is 0.000001 part citrus, 2 parts sugar and 97.999999 parts water. Almond "drink" doesn't sound far from that, especially since almost all of these -- soy, almond, rice, ... have added sugar. That's what dairy milk is missing. With the bans on "sugary drinks" becoming more fashionable, cow's milk with never added sugar may become popular again. After all, can Americans really have their milk and drink it, too?